Welcome! We are so excited you would like to be a part of The Sea Pines Resort, widely regarded as the centerpiece of Hilton Head Island, South Carolina. 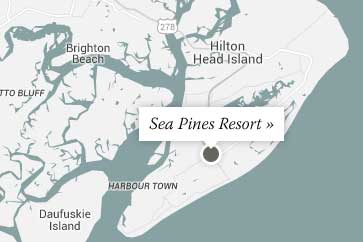 Located on the southern end of the barrier island, The Sea Pines Resort is a 5000-acre oceanfront resort featuring a luxury boutique hotel, 400 home and villa rentals, three 18-hole golf courses, nine unique food and beverage operations, a conference center and much more. We are committed to quality and unparalleled customer service in all aspects of our business. As part of our team, we hope you will discover that the pursuit of excellence is a rewarding aspect of your career with us. Our Core Values are the heart of who we are and what we do! Honesty - We commit to demonstrate integrity and sincerity on a daily basis. Energy - We strive with passion to achieve the vision and mission of The Sea Pines Resort. Accountability - We honor our obligations and exceed the expectations of both our guests and teammates. Respect - We actively participate in a culture of caring for our guests and teammates. Teamwork - Through our culture of continuous learning and improvement, we recruit, hire, train and nurture the best talent in our industry. We are committed to creating memorable experiences and exceeding our guests' expectations through personalized service and premier facilities. The Sea Pines Resort is a Lowcountry golf and beach destination dedicated to creating lifelong memories for our guests, providing an energetic and dynamic work environment for our employees and maximizing profitability for our owners.